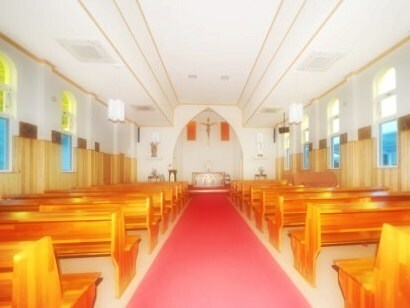 Matenoura Church is a Catholic church in Nakadohri Island. 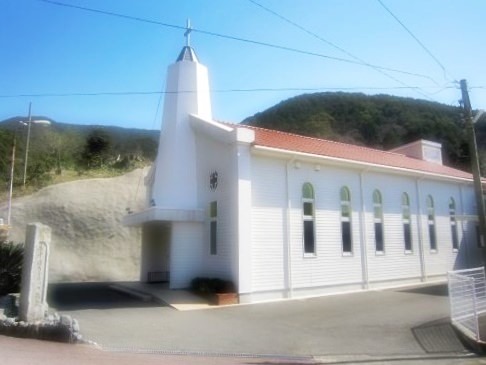 The church, which stands on a hill overlooking Michidoi Bay, is newer than others in Goto Islands (refer to #514) and looks adorable. The Christians constructed the first version of the church in 1910. As it became too small to accommodate the Christians, it was relocated to the current site in 1956 and was newly built in 2010.